What is a Bail or Surety Bond? A bail bond, also called a surety bond, is a contractual agreement that is guaranteed by a licensed bail bondsman who is underwritten by an insurance company. The bail bondsman guarantees to the court payment for the full amount of the bond if the defendant fails to appear for their scheduled court dates. If a court date was missed in error the defendant can usually reschedule for a new court date. To further explain: A bail bond is like a check. The amount on the check is the full bail amount. This check is issued by the bail bonds company and given to the court. The cosigner and defendant are liable for this check. The court will hold this check to guarantee the defendant making it to their court dates. If a court date is missed the court will set a date when it will cash the check. To fix this situation and stop the court from cashing the check, the defendant needs to schedule a new court date as soon as possible. This can be done by the defendant going to the court clerk and asking for a new court date or hiring an attorney. Call 702-462-9200 for further questions on bail bonds. 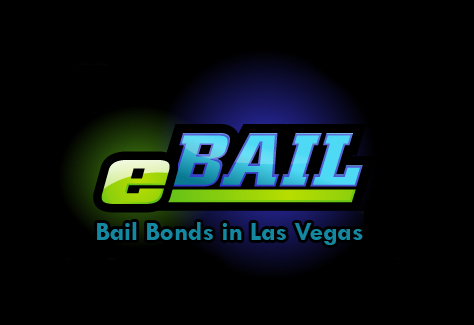 eBAIL is the only company that offers Online Bail Bonds in 3 minutes or less. eBAIL services bail bonds in Las Vegas, North Las Vegas, Henderson and with the surrounding Clark County, Nevada as well as nationwide. Next post: Where Can I Find Cheap Bail Bonds? Previous post: How Much Does a Bail Bond Cost?